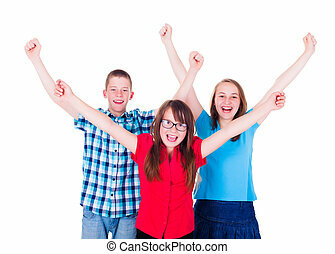 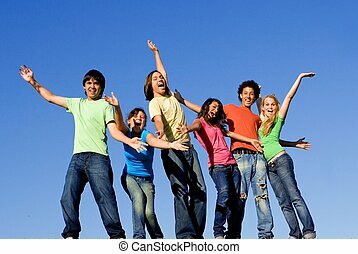 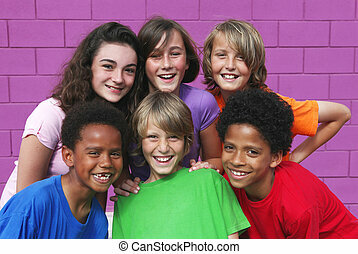 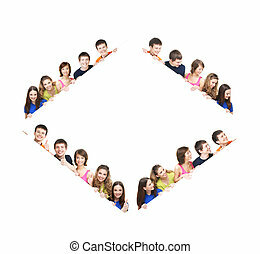 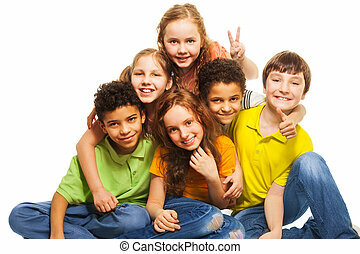 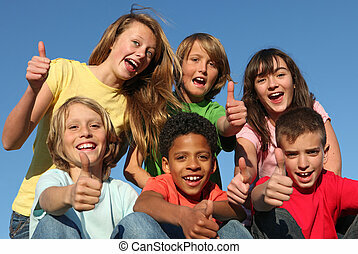 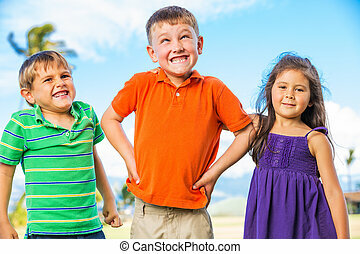 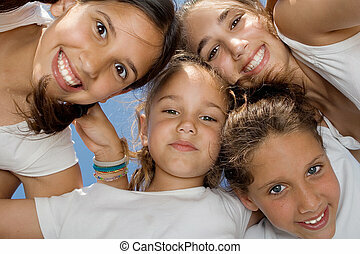 Happy group of mixed race kids, youth, teens or teenagers. 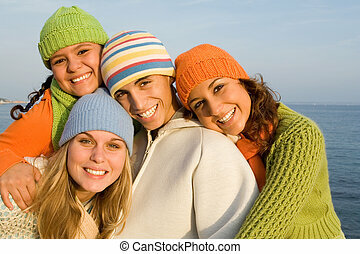 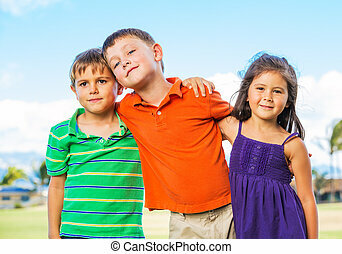 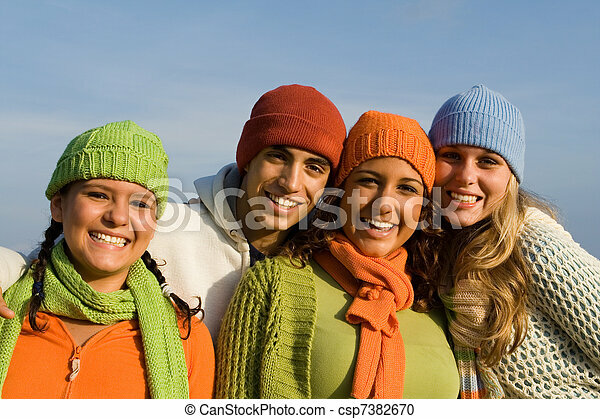 happy group of smiling diverse teens in summer. 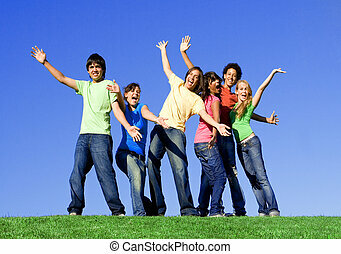 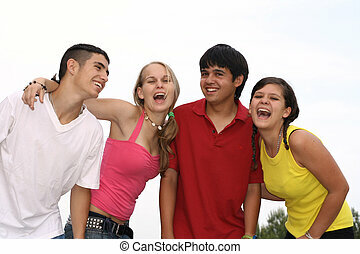 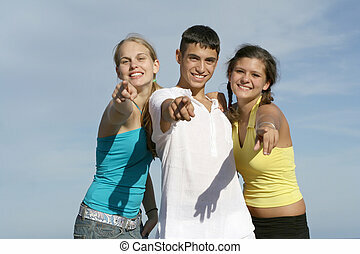 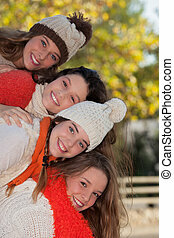 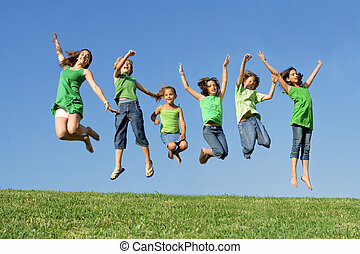 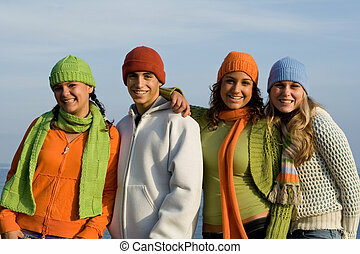 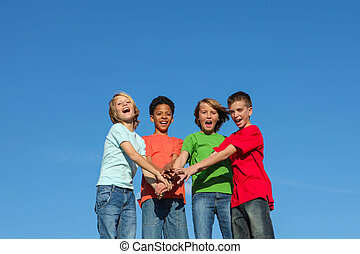 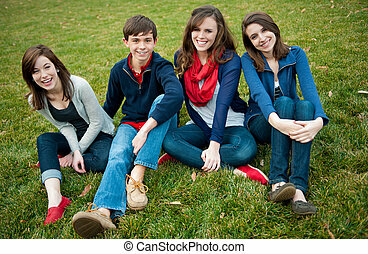 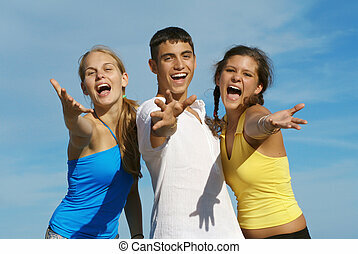 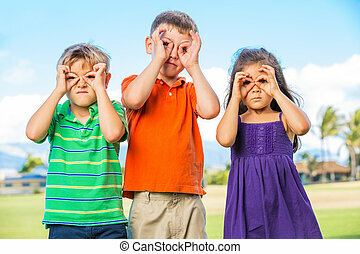 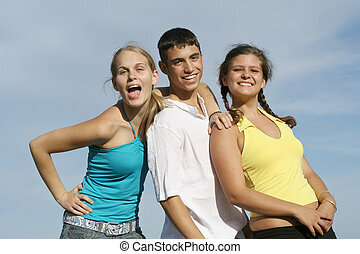 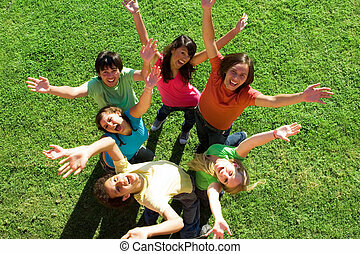 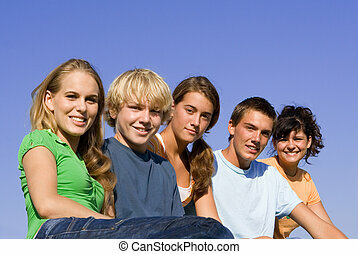 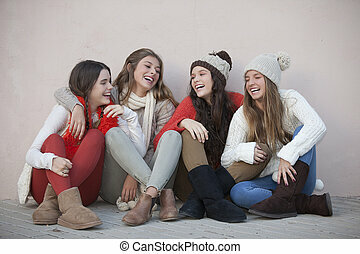 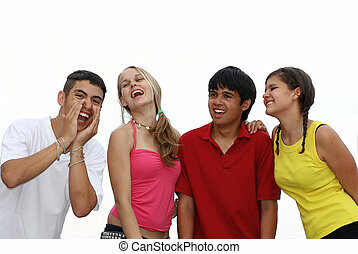 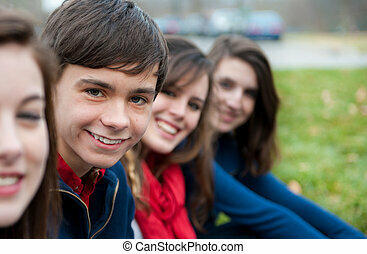 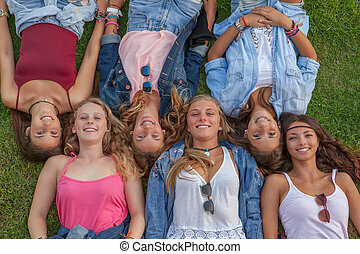 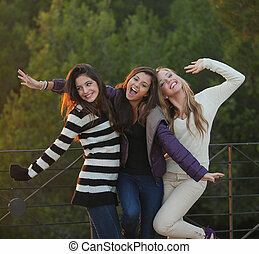 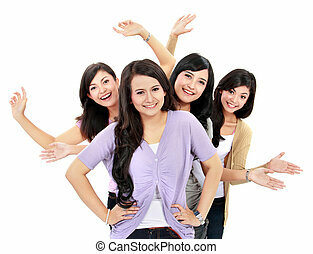 group of happy friendly fashion teens outdoors.